Recently a comment was made to me that when a pro-life law is passed by a state legislature, it can be a hopeless victory. The reason is that, within days or weeks, the forces of death will orchestrate an action from a court at some level that will render the new law null and void. My response to this scenario is standard. In 1973, seven of the nine male justices of the United States Supreme Court usurped the democratic process in 50 states by elevating themselves to the status of men-gods by issuing two rulings that overturned every state law that in any way put a crimp in the abortion industry. The Roe v. Wadeand Doe v. Bolton decisions literally opened the floodgates to abortion on demand for any reason at any time during the period when a baby is growing within his mother’s womb. Today, 40 years later, we see the same scenario being played out, though the most popular tactic is the passage of a state law followed by the immediate judicial ruling against that law in any state that has the gumption to pass such a law. Most recently we saw this occur in Idaho and Arizona. In Idaho, “U.S. 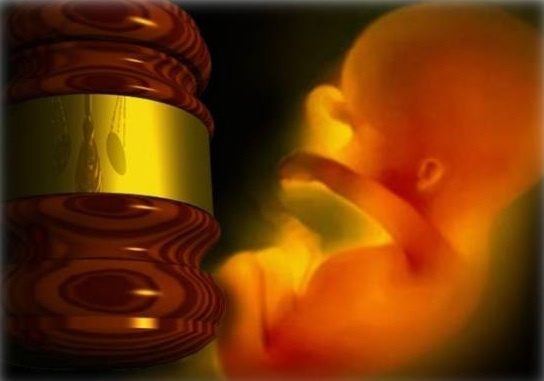 District Judge B. Lynn Winmill stated that this ban violates women’s constitutional rights by placing an ‘undue burden’ on those seeking abortions. His decision also addressed the state’s foremost interest in the ‘potential life of the fetus’ before considering the lives of pregnant women themselves.” In other words, the expectant mother’s rights are primary. The baby is collateral damage. The bottom line in these two decisions, and in so many others like them, is that the rule of law established first inRoe and Doe, and then solidified in the Planned Parenthood v. Casey decision—which established that pregnancy is an “undue burden” on the expectant mother—renders the child of no consequence. The reason behind these consistently anti-life court rulings is quite simple: Courts do not acknowledge that a preborn baby is a person—a human being entitled to the same rights and privileges as you and me. And until that changes, even weak laws like 20-week abortion bans that really do not ban all abortions after 20 weeks will cease to be the magic bullet that “chips away” at the abortion-on-demand culture of today. Our society is wedded to the concept that, in the hierarchy of human rights, the expectant mother has all the rights. Unless the mother admits that she really wants her baby and chooses to agree that the baby has a right to life, the baby has no rights. Mommy is a god and she has the power to take away her own child’s right to live. As pro-life Americans who understand the countless ways in which courts and lawmakers can characterize our brothers and sisters before birth as nonentities, we need to expend our efforts humanizing the child, embracing his individuality, and expounding on the truth that every expectant mother and every child before birth at every stage of his biological development is a blessing. We can and we must lift both of them up with love, respect, and affirmation of the dignity endowed by God, not the state. When we succeed in reestablishing this undebatable truth, justice will no longer be aborted, and people will no longer approve of the murder of babies.